Most of us associate the Silk Road with Marco Polo, the great 13th century explorer. Simply evoking the words “Silk Road” or “Silk Route” immediately stimulates the imagination and gets any traveller’s wanderlust flowing. After finding a cheap flight and getting my China travel visa, I was on my way to Hong Kong last September. 30 hours later, I arrived by train in Xi’an, the departure point of the Silk Road. 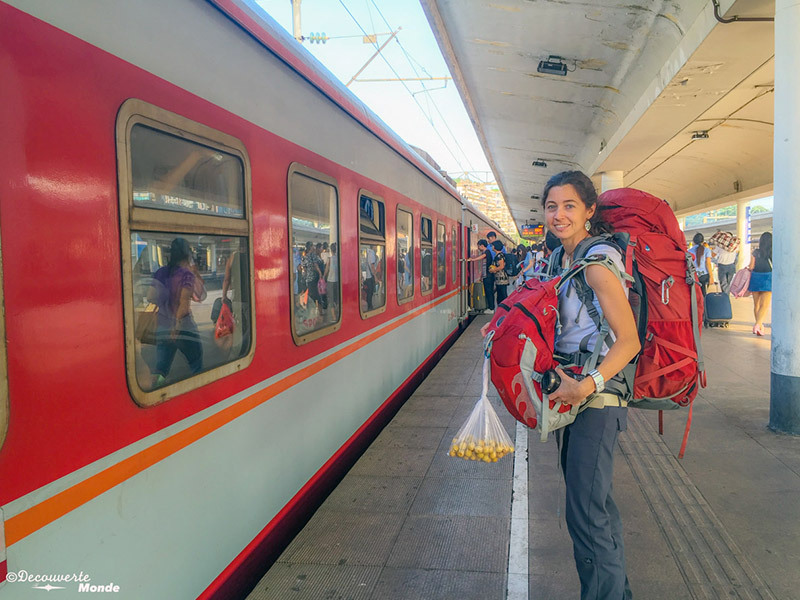 Here are my impressions of China’s most famous route! Boarding the 30 hour train for Xi’an. The Silk Road, or rather, Roads plural (there are more than one), link Turkey to China via central Asia. A traveller would need several months to cover such a formidable distance, which is I why I decided to dedicate my trip to China, the first leg of the Silk Road, and discover the province of Gansu. I spent three and a half weeks in the Chinese countryside, following the footsteps of the caravans of yore that transported silk and other goods to Europe. Talk about a mythical itinerary for a young travel blogger! 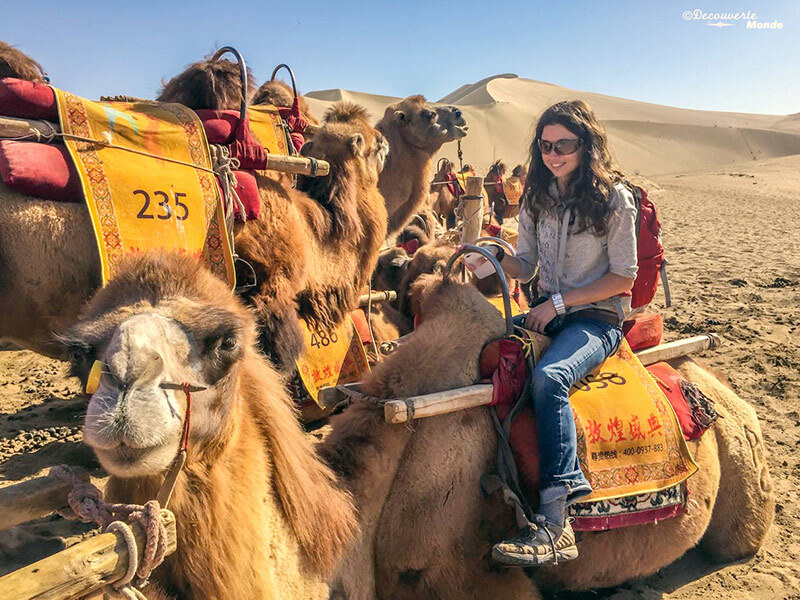 Pinning the top destinations and highlights of my trip along the Silk Road. The Chinese portion of the Silk Road crosses mostly desert terrain starting in the Gobi Desert to the Taklimakan. Crossing these gigantic, hostile lands requires camels and caravans. This is exactly the image that always came to mind whenever I heard “Silk Road”, and it’s still the case today. Long convoys of camels and merchants loaded with goods and wares brave the harsh desert climate. Long lines of camels and riders. A typical sight along the Silk Road, even today. Let me paint you a picture: Dunhuang, or “Singing-Sand Mountain,” is at the heart of a landscape whipped by musical gusts of wind. This is where I took my first camel ride. Although I usually avoid such popular tourist activities, I now have a very fond memory of my first contact with this adorable mammal. My first contact with camels—aren’t they cute? Along with transporting delicate textiles and goods for trade, the Silk Road also served as a route for ideas and new religions. Buddhism arrived in India via the Silk Road and even today we can still admire the most ancient remnants of Buddhist art in China. 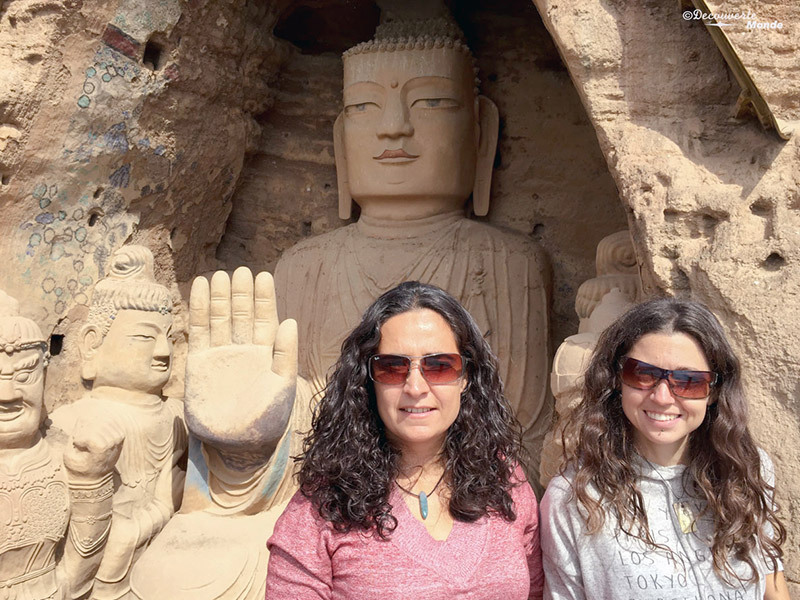 In China I had the pleasure of seeing the enormous 15-metre high Buddha Tiantishan in the Tiantishan Grottoes, one of China’s many highlights. Carved directly into the cliff, Tiantishan faces a magnificent, crystalline lake, which provides a stark contrast against the dry backdrop of the surrounding desert mountain range. This impressive 15 metre-high Buddha is carved right into the cliff. I also saw one of the most treasured locations of early Chinese Buddhist art: the Mogao Caves. These caves are decorated with paintings and murals depicting status of Buddhas and mythical beings, some as old as 1,500 years. 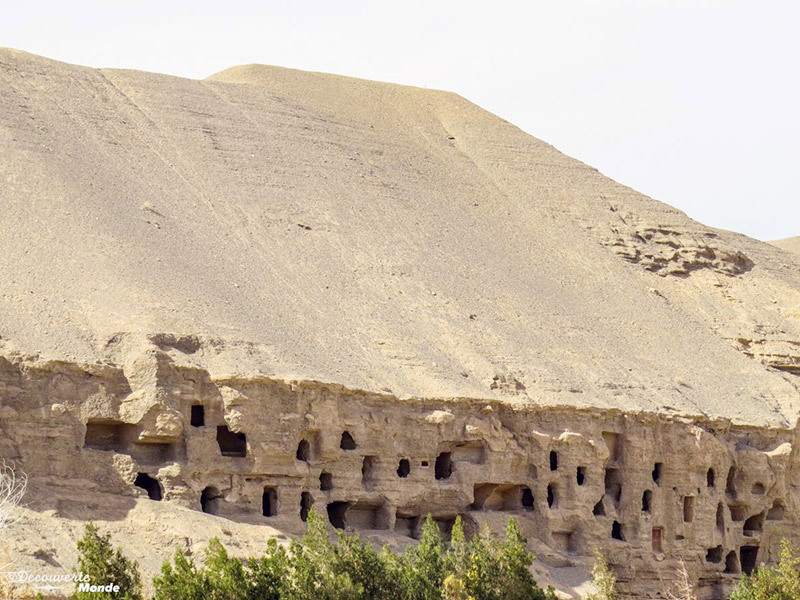 When you set foot in the Mogao caves, you certainly feel a sense of privilege to see these masterpieces for yourself. These grottos and caves are some of the most important and magnificent treasures of early Chinese Buddhism. Most travellers have heard of the Great Wall of China, but how many can say they’ve been to its westernmost extremity? To be honest, I’ve never seen the postcard-perfect sections of the Great Wall, the perfectly reconstructed bits accessible via the capital, but I can now say I’ve visited the very end of the wall! The fort in Jiayuguan used to separate the known, civilised world from the barbarian lands. 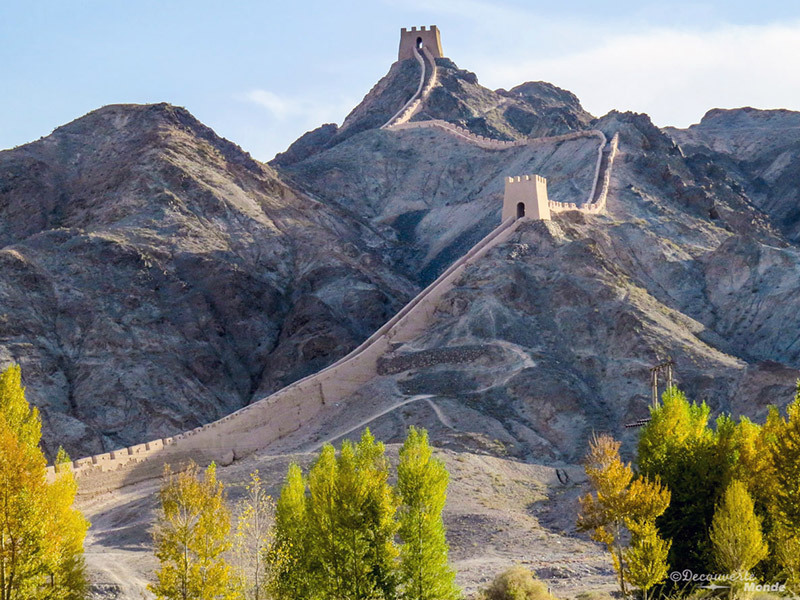 The Great Wall of China at Jiau Pass is still present today and is the largest and most intact pass of the Great Wall. It joins up with the Jiayuguan fort and winds across ridges of the Desert Mountains. Although it’s less architecturally impressive than their postcard counterparts, it was wonderful to tread on these Great Wall stones, even if many sections are actually reconstructions. The end of the Great Wall of China. The beginning of the Silk Road in Xi’an was China’s capital for hundreds of years. It was home to many kings and emperors, including Emperor Qin of 3rd century B.C. the first emperor to unify China. 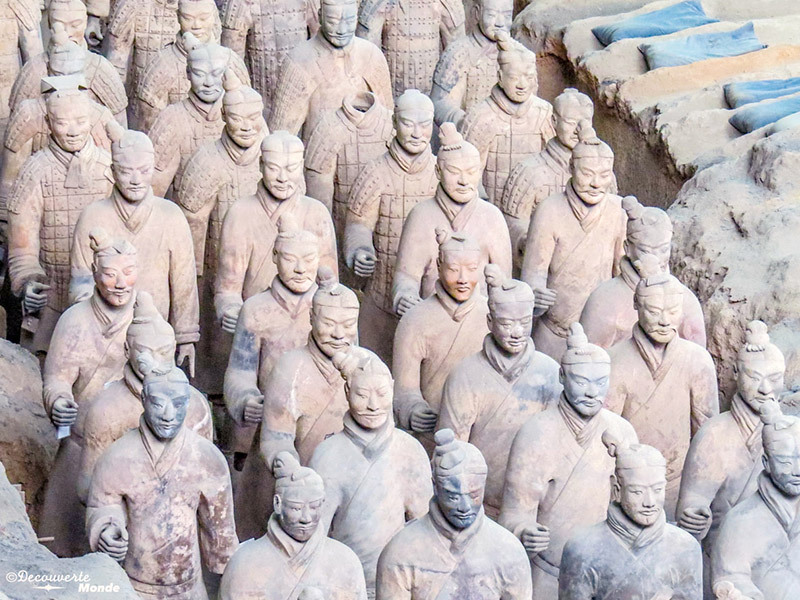 You can’t go to Xi’an without visiting Emperor Qin’s tomb and visit the thousands of terracotta warriors buried alongside in his eternal resting place. The site alone is impressive with its grandeur—in fact, only a part of the army was ever unearthed. Tomb raiding is still a concern today. Thousands of labourers dedicated a phenomenal amount of time to create the terracotta army, with the sole purpose of protecting the Emperor in the afterlife. How can a traveller not be amazed by such a feat? Emperor Qin’s famous Terracotta Army—one of the biggest archeological discoveries of our time. The Silk Road is more than a geographical voyage; it’s a cultural and historic journey. The Silk Route fashioned the identity of this region, and even though I only visited the province of Gansu on my first foray of the route, I realize the importance the Road plays in the history of civilization. I only got a glimpse of it, and I would have to spend months travelling the road to truly understand it. The road harbours many mysteries and this is why I want to go back. Speaking of mysteries, did you know that the Gansu region and the Chinese portion of the Silk Road are very rarely visited by westerners? If you’re looking for a destination truly off the beaten path, Gansu and the Chinese end of the Silk Road is it! 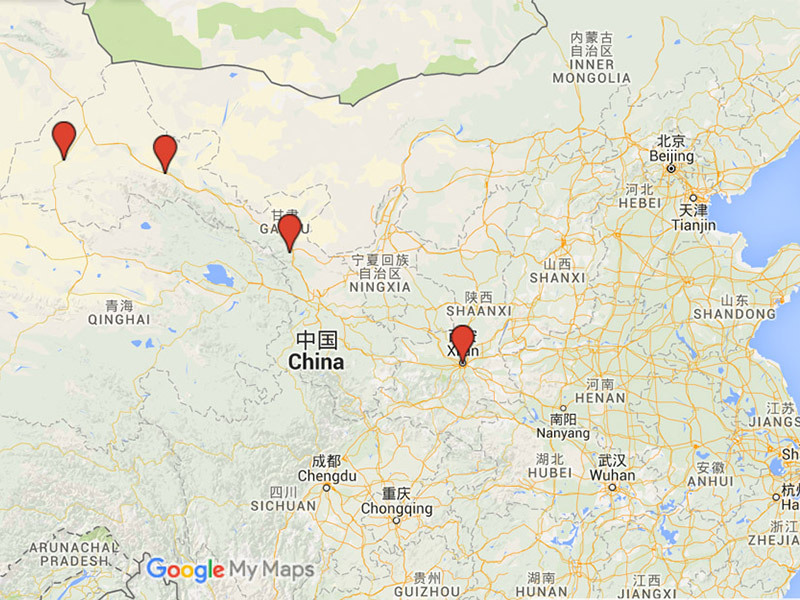 If you’re travelling to these remote areas in China, or anywhere along the Silk Road, don’t forget your travel insurance. As a frequent traveller taking my fourth trip this year, I was definitely glad to have TuGo’s Multi Trip Annual insurance. Glad that you enjoyed reading our post. Our guest blogger, Rachel does share a great itinerary that even covers some remote destinations. 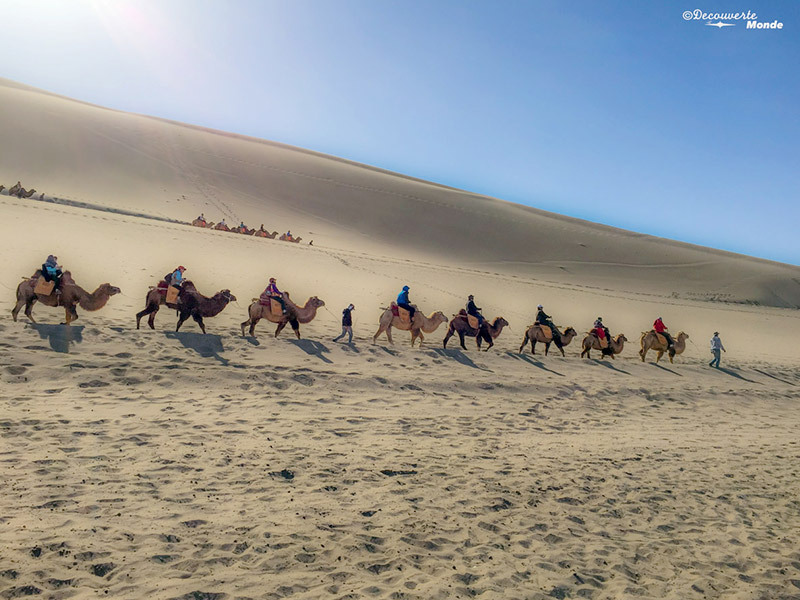 Do you have any tips from your trip to the Silk Road? We would love to hear your experiences! We would love to connect with you via email! Is there an email address that we can reach you on?